Dodge Ridge is 3 hours from the greater Bay Area. After travelling east on Interstate 580 and 205, take 120 East to 108 East. There is no city of Dodge Ridge. Cities with twenty minutes of the ski area include Twain Harte, Mi Wuk Village, Long Barn, Cold Springs, and Pinecrest. Minimal crowds and virtually non-existent lift lines, even during holiday periods! A great variety of terrain for all ages and abilities! I must tell you one more story that pretty much sums it all up. 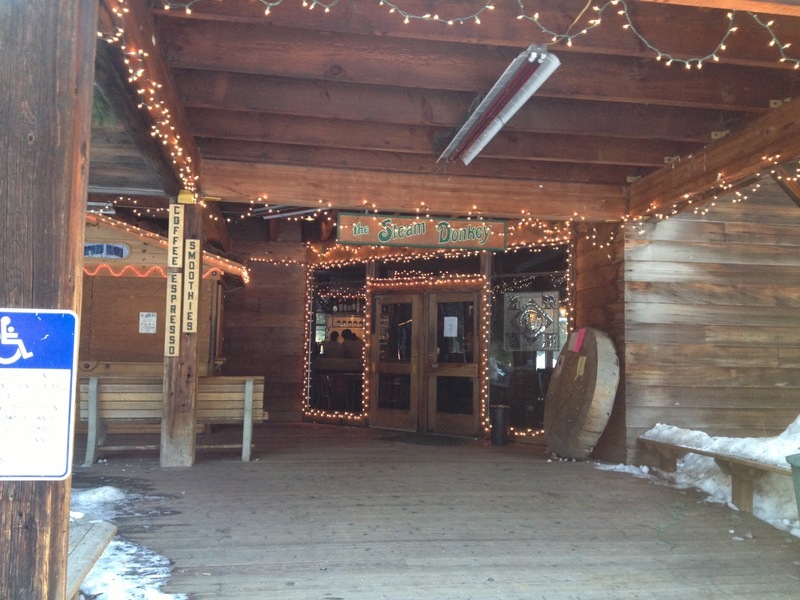 When I arrived at the ski area on Saturday morning, clomping about in my ski boots, lugging my and my son's skis, an official looking gentleman standing at the door to the lodge greeted me with, "Good morning! Is there anything I can help you with today??" Good luck getting that in Tahoe included with your 85$ lift ticket! Well, after several times staying at the Pinecrest Lake Resort with less than stellar results, (and well, okay, I was a little slow on the draw getting a place), we decided to check out VRBO.com (VRBO stands for Vacation Rentals By Owner—more on using VRBO some other day!). We researched the areas of the cities listed above (Twain Harte, Mi Wuk Village, Long Barn, Cold Springs, and Pinecrest) and settled on VRBO Rental Property 389619. I did submit a review to VRBO directly. I was somewhat kinder and less detailed in that review, because I was certain that the owner would read it and did not want him to be mad and not rent to us again. VRBO rental property 389619 has a Long Barn address, but it is really located much closer to Cold Springs, which is significantly closer to Dodge Ridge. This property is about 15 minutes from the Dodge Ridge ski area (give a few if you have to put on chains to get up Dodge Ridge Road—that can really vary depending on how lame you are at that!). BRASS TACKS: We paid 225$/night with a 90$ cleaning fee. $300 refundable security deposit which we got back in full less than 48 hours after returning on 1/13/12. No hidden taxes, occupancy fees, blue moon fees, sleeping with the window shut fees, no surprises! You can't say this in your VRBO review. The property is a three bedroom, two bathroom house. The bedrooms are configured as such: 1) Upstairs master bedroom with attached bathroom has Cal King bed and what appears to be a Queen Futon. 2) Downstairs bedroom with full size futon and full size bed 3) Kids bedroom with full/twin bunk bed PLUS a living room sofa with a pull out full sofa bed. The listing says that the place sleeps 12 and technically it does, but that's only if you had four people each in bedrooms one and two! The bedding arrangement is only perfect if you are a couple with 5 kids. If you are trying to share this house with another family—the other couple is going to have to squish into a full size bed and may have to share a bedroom with their kids. We were nine and sleeping was tight. The drawers and closets were full of the owner's belongings, so there is no place to store your luggage or clothes. It has to lay in the middle of the bedroom or be stashed under the bed. There are a few clean closets but no hangers. Yet another reason 12 in this cabin is too many. The hot water heater supports about six 5 minute showers, and bathers 5 and 6 will have their water turn cold. Another reason 12 in this cabin is too many. There are also no sheets provided, no shower soap, no Kleenex, no bath towels, no dish towels, no Wi-fi, and NO GARBAGE SERVICE! This is the first VRBO house I have rented that did not have these items. Things that ARE there include dish soap, paper towels, coffee filters, toilet paper, hand soap (pump), and dishwashing detergent. The kitchen is well stocked with a microwave, a toaster, garbage disposal, dishwasher, a blender, a pancake griddle, and an automatic ice maker. Don't laugh about that last one—at Pinecrest Lake resort I have to bring ice trays! Garbage service and sheets can be arranged for additional fees. There was a foosball table that converts to a small pool table and a ping pong table that was folded up while we were there and a mini basketball hoop. There is also a washer and dryer. The garage is wide enough to park a car, and the driveway is wide enough to park two cars side by side. The roads to access the house were (at the time we rented) clear and the driveway was shoveled. I cannot review any of the media equipment as we did not watch any TV or movies while we were there. If you do rent and are planning to arrive in the dark, bring a flashlight to access the lock box and open the front door. I must say that the owner was a delight to work with. He answered all questions thoroughly within hours. He communicated well when checks were due, when checks were received, and again returned our deposit promptly. Soo, the big question is..do I recommend the rental of this property to anyone planning to ski at Dodge Ridge? YOU BET! Remember that GoFamilyGo is all about VALUE—the most bang for your vacation dollar. Because we were able to split the rental cost with another family, our total cost for rental of this property for two nights was $315. This is far less than we would have paid at Pinecrest Lake Resort on a weekend, where we would have spent near 550$. Even if we had not been able to bring another family, the $540 we would have spent would be worth it for the extra space, the better TV, the better equipped kitchen, the extra bedroom, the extra bathroom, and the better bedding. To view this rental property, simply go to VRBO.com and type in the property number stated above. The long and short of this is that it seems to be a better value to rent a property through a vacation rental broker than to stay at Pinecrest Lake Resort. I have only rented through VRBO but other brokers in the area include pinecrestarearentals.com and Darlene's vacation rentals. There are some motor inns and B and B's further west of Long Barn and east of Pinecrest—but from a space and distance standpoint I don't think these would be a better value for a family. If you don't fall into any of these categories you ski for free. Once you purchase the vouchers they can be used anytime during the regular ski season except December 27 thru 31, Sat/Sun of MLK weekend, and Sat/Sun of President's Day weekend. The closest Save Mart and Safeway to Dodge Ridge are located in the town of Sonora, about 30 miles from the Dodge Ridge turn off. Using these vouchers, the savings for my family of five for two days of skiing was $76!!! Everyone in our family needs to rent all their ski equipment, and this can get pricey, so we really need a good deal. This is the reason we head down to the side of the highway in the small town of Cold Springs (pop.150!) to Heidi's Ski Shop (www.heidisskishop.com). Heidi herself arrives in the morning (sometimes a few minutes later than her officially published time!) and helps to get your family all personally fitted with excellent quality ski gear. Heidi rents both ski and snowboard equipment and snowshoes. The cost of a ski package rental (skis, boots, and poles) for an adult (size 130cm and up) is 25$ per day, for children is 15$ per day. A snowboard package is 28$ per day. Compare this respectively with 38$ for an adult and 25$ for a child and we've got another…. By using Heidi's Ski Shop instead of the rental center at the ski area my family saved $138! Heidi's is open every day at 7:30am and closes at 5pm. On Friday, Saturday, and Sunday Heidi's opens at 7am. I strongly recommend being the first family there in the am. Roll out of bed and get there before the crowds do. Roll out of bed before breakfast and get your rentals taken care of. Heidi's bargain is no secret and you will soon be joined by others. Sometimes Heidi has only one helper and this can cause some back up. Another route if you get there early enough is to rent the night before and avoid both the crowds AND the early morning. After a long morning on the slopes it may be tempting to head to the large day lodge and eat the offerings of the Creekside Café. The cafeteria type café offers the usual day lodge fare, at typical day lodge prices—in other words, bank breaking. For example, a hamburger is $8.35 (that's with no fries), a chicken Caesar salad is $9.99, cheese pizza is $6.95, and a fountain drink is $2.30. My recommendation---bring your own lunch. The parking at Dodge Ridge is so close and convenient (especially if you arrive early, like we do) that it is easy to keep a cooler or carry bag in your car and walk out to get it. The day lodge has signs posted that discourage you from eating at the indoor tables, but it wasn't until our second day of eating inside that we noticed the signs. We saw no "table police" kicking people out and we saw plenty of other people enjoying their picnics indoors. If the weather permits, there are plenty of sunny picnic tables outside on the deck. Here it is permitted to eat your picnic guilt free! Okay, okay, I know our groceries cost something so this might not be perfectly accurate—but even if each member of my family of five ordered middle of the road entree and we ordered only two fountain drinks to share, by bringing our own food I figure we saved at least $45 per day! That is assuming our groceries cost $10 daily which I think is a stretch. Did I mention that our picnic lunch of deli sandwiches on hoagie rolls and waters came with baked chips, fruit, and cookies?? I didn't see any of that with my $8.35 burger!! For a dinner out, we are fans of The Steam Donkey Restaurant (www.pinecrestlakeresort.com/dining ), which is located at the end of Pinecrest Lake Road, Pinecrest, 95364. It is a convenient walk from Pinecrest Lake Resort and an easy 10 minute drive from the Cold Springs area. The restaurant is open nightly for dinner from 5-8pm Sunday thru Thursday and until 9pm on Friday and Saturday. The full bar opens at 3pm. Summer and lunch hours begin in early June. The menu leans toward mostly meat with some fish, pasta, and vegetarian options. The prices range from about $12 dollars for a burger to $28 dollars for something like prime rib. All entrees come with soup or salad-a nice touch! Children's menu available. Corkage fee is $15 with a two bottle maximum. This is a tight little place—only nine table available for small parties, fewer if a large party arrives and tables are placed together. Reservations are an absolute must at 209-965-3117. Ambiance is relaxed and family friendly and does appear to be a local favorite. I have seen Heidi from Heidi's ski shop eating here more than once! The Steam Donkey welcomes you!! Thank you for reading this entry! Watch for upcoming posts with more exciting tips for family travel, including using VRBO and travelling with another family! Welcome to Go Family Go!